There will be prizes for the 1st & 2nd Male & Female to finish the 10k and for the 1st & 2nd person to finish the 5k. Medals will also be given out to all participants on both routes. 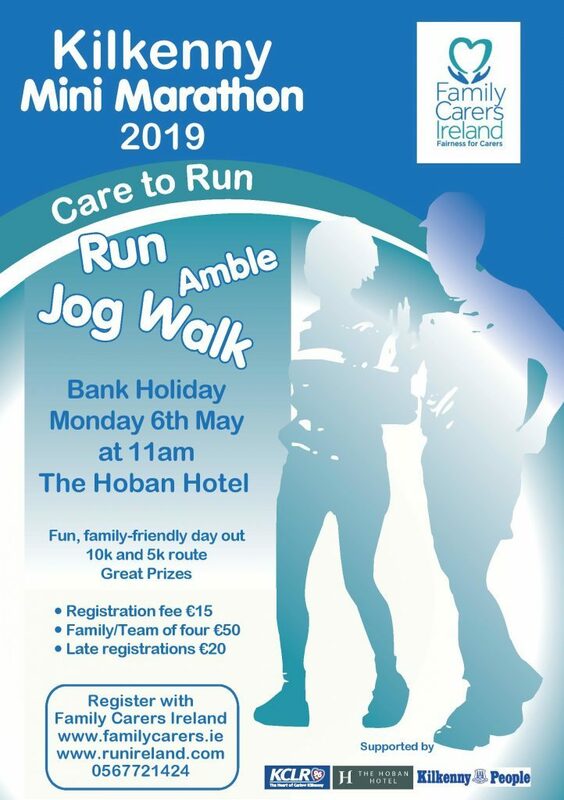 You can register for the Mini Marathon here or by calling into our centre at the Springhill Clinic on the Waterford road or by phoning 056 7721424 & we will post a registration form to you. Registration costs €15 with the closing date on Thursday 2nd May at 5.00pm. You can also register on the day of the Mini Marathon at 9.30am and the fee is €20. We look forward to seeing you all on the day.